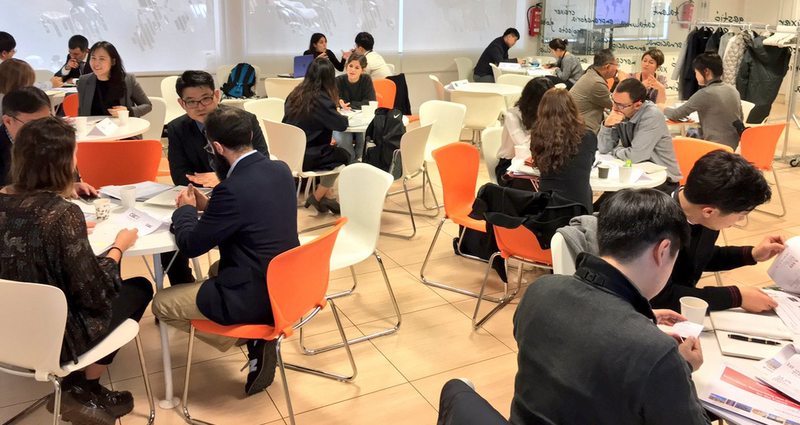 Fifteen clusters from Catalonia and South Korea participated in the sixth edition of the International Intercluster Meeting with the aim of promoting synergies and strategic alliances between the clusters of the two territories. The day, organized by ACCIÓ, together with the Korea Industrial Complex Corporation (KICOX), an entity affiliated to the Korean Ministry of Commerce, Industry and Energy, fostered new collaborations in the fields of energy and sustainable mobility. 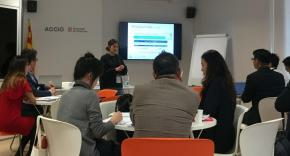 Two Catalan clusters, including the Packaging Cluster, shared good practices within the policy clusters. The representatives of the clusters of the two regions were able to present their projects and participate in networking activities to look for business opportunities. In addition, the Packaging Cluster presented to the audience its work on how to generate international opportunities, both with contacts and projects. The meeting between Catalan and Korean clusters is the sixth edition of the International Intercluster Meeting organized by ACCIÓ, which on previous occasions has been held with Norway, Denmark, the Auvergne-Rhône-Alpes region (France), the Lombardy region (Italy) and Colombia. The Catalan clusters that have participated are the Automotive Cluster (CIAC), the Advanced Materials Cluster (MAV), the Digital Cluster Association of Catalonia, the Catalan Water Partnership (CWP), the Efficient Energy Cluster of Catalonia (CEEC), the Cluster of Lighting of Catalonia (CICAT), the Packaging Cluster and the Cluster of home automation and smartcities (Domotys). For its part, the Korean clusters invited to the conference were the fields of energy and sustainable mobility from the Korea Institute for Advancement of Technology (Kiat), Chungnam Technopark, Gwangju Technopark, Gyeongbuk Technopark and KICOX. Catalonia has more than 25 years of experience in the development of clusters, through the Catalonia Clusters program. An initiative promoted by ACCIÓ with the objective of promoting the grouping of companies and entities from the same sector to share resources, create synergies and project internationally. Currently, the 28 Catalan clusters of the program gathers 2,200 companies with a turnover of 74,000 million euros and more than 300,000 workers.